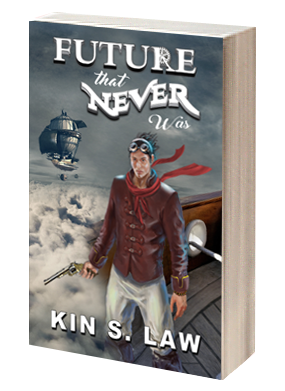 FUTURE THAT NEVER WAS is a steampunk romp that approaches in a different direction from the genre's Victorian roots; a global bar crawl that saves the world. 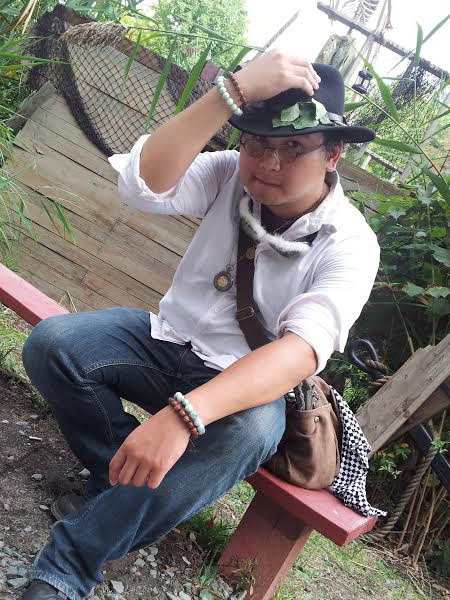 Featuring an unorthodox, multi-cultural pirate Captain! Pillage and plunder is what air pirates do, but for Albion Clemens, that will have to wait. The Manchu Marauder needs to find his American stepfather, Captain Samuel, lost to the wayward winds of a Steam Age Europe. Unfortunately, Captain Samuel has stolen the Laputian Leviathan, a powerful pirate artifact that's got agents of Queen and calamity sniffing at his coattails. The skies are a-twitter with rumors of some nefarious theft: someone is ripping up and stealing national landmarks, leaving the aerial navies of Europe helpless. It's an idea so ludicrous it has to be true. What's Captain Sam got to do with it? And why does the Darjeeling only taste good in Auntie's galley? With the aid of a buxom detective Inspector, a seditionist British journalist, and a knife-happy helmswoman, can Albion get to his pa before their high-flying pirate life is transformed into a Future that Never Was?